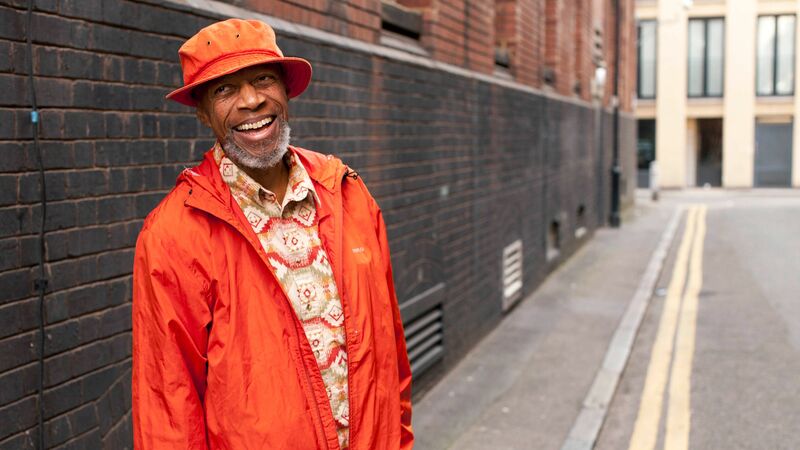 Following the re-release of Laraaji’s Day of Radiance last year, the celestial music pioneer will perform the album in London’s Café Oto on 24 May. The gig is the first part of a two-day residency and is followed by a singing performance by Laraaji the day after. The album, reissued by Glitterbeat Records, was first recorded in 1980 with Brian Eno. It was the third album in Eno’s four-part Ambient series and brought international recognition to Laraaji’s ambient and new age sound. When Laraaji, originally Larry Gordon, met Brian Eno for the first time in New York in 1979, he was in a transformative period in his life – musically and spiritually. Immersed in the eastern philosophies that were then arriving in the US, Gordon had been experimenting with a mixture of yoga and various styles of meditation. The meeting with Eno happened when Gordon was busking with his autoharp (chorded zither) in Washington Square Park. Having moved to New York from his hometown in Philadelphia, Gordon acquired the instrument in a pawnshop in the mid-1970s. His decision to buy the autoharp was impulsive. Or, rather, it was led by a cosmic experience that he had in the shop; one that guided him to swap his guitar for the instrument, rather than selling it as he had intended when he walked in. This experimental period in Gordon’s life was a long way away from his more formal childhood. He had grown up listening to gospel at his local baptist church, before studying composition at Howard University in Washington DC. In Washington Square Park, Gordon was busking with his eyes closed. He was sitting on his blanket, playing his autoharp through a small amplifier. Eno, who happened to be walking past, heard Gordon’s celestial sounds echoing through the park. He wrote a note on a torn-off piece of paper and left it in Gordon’s busking case.